' [Birth Mother] First Mother Forum: Dear First Mother Forum: Should we adopt through Gladney? Dear First Mother Forum: Should we adopt through Gladney? Demonstrators at Gladney in 2010. This came as a comment recently to us at FMF. It took me a while to respond because clearly the woman did not read much of our postings or comments. Yet she does have a point--how does most of the agency fee get eaten up by administrative and housing costs, why aren't the woman given some money to reestablish their lives? Yet doing that is tantamount to buying a child. Based in Fort Worth, Gladney runs a big operation--some time ago I saw a photo of pregnant teens hanging out at a swimming pool, so it had that nice country-club feel, but none of that can be found at their website anymore. Someone must have noted that it looked inappropriate, but it certainly was a far cry from the old homes for pregnant unmarried women. Yelp reviews of Gladney have positive ones by adoptive parents; but negative ones by mothers or mothers-to-be. Today their website says upfront that they accept very few clients to wish to adopt in a closed adoption because "A very small percentage of our birth moms want a closed adoption." 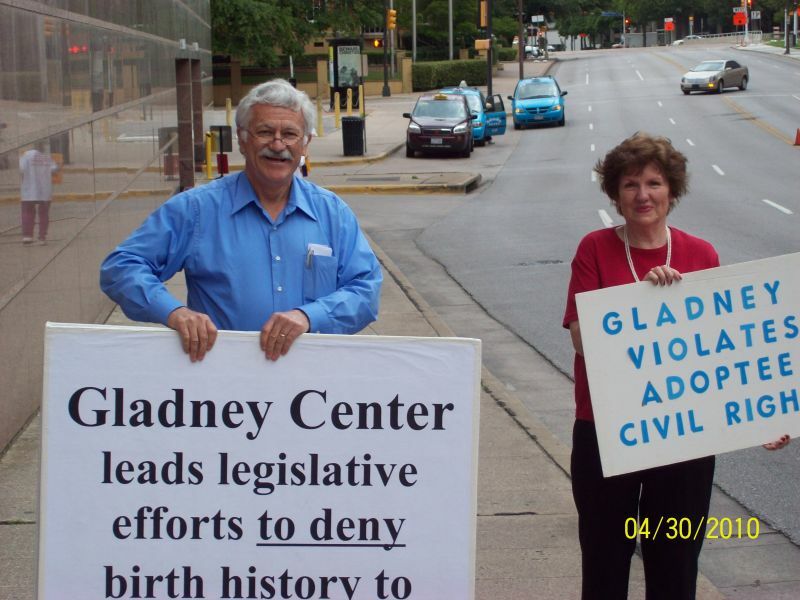 In the past, Gladney has been a staunch opponent of opening records, open adoptions, and has actively lobbied against ending sealed adoption records. We discourage adoptions, but instead encourage women to keep their babies if they are going to carry to term, and encourage all adoptions to be fully open, with contact between the natural mother and the adoptive parents. Because of Gladney's policies, we discourage anyone from adopting through them as they are not focused on the longterm well-being of the mother or the child, but only on satisfying the ones paying the bills, the prospective adopters, and meeting their needs at the time of birth of the child and its adoption. If the girls who go to Gladney to have their baby adopted, but later change their minds and wish to keep their baby--and their is plenty of evidence they are encouraged not to--they then owe hefty fees to Gladney for their room and board, if they stayed at the facility in Fort Worth. Apparently it turns out to be quite pricy. So their stay their becomes a kind of indentured servitude--room and board and a swimming pool in return for your baby. We discourage this practice. Bethany Adoption Services in the US also gives poor counseling, or none at all, to have them consider the options of raising their own child, and there are many tales of regret and coercion that come from Bethany first mothers afterwards. At the Gladney site today I did see where the sliding payment schedule for different kinds of babies might have been, but the link was no longer working. Catelynn and Tyler of Sixteen and Pregnant is a good example; after the adoption when the teenagers complained that their "open" adoption meant all communication and visits always went through Bethany, and there were no visits to the actual home of their daughter and her adoptive parents, their counselor Dawn said that if she, Catelynn, had wanted a fully open adoption, she should have said so. The implication left to viewers was that the "fully open adoption" was not explained to Catelynn at the time she was relinquishing a child. And remember, she was 16 then, and most likely did not think to question more when presented with whatever information Dawn gave her at the time. Since your email indicates you are in Brazil, surely there are agencies in Brazil, who do fully open adoptions, and if you are set on adopting to create your family, be aware of the difficulties and perils of adopting, and choose to do it in your own country. You might read some memoirs of adoptees as well as my book, hole in my heart: memoir and report from the fault lines of adoption that is chock full of data about adoption as it affects both natural mothers and the adoptees. Except in extreme cases we also discourage international adoptions, as it means taking a child out of their natural culture--and even the foods they have learned to prefer while in utero, which mimics the tastes of the food their mother ate while she was expecting. On Facebook, you will find Korean adoptees talking about how much they enjoy kimchi, which is fermented cabbage. Remember in bringing a child from another family or culture into your home, the chances that he or she will be like you in some very basic ways is not greater than pure chance. At the Amazon site for hole in my heart, use the "look inside" function and search for the name Carol Tavris. Her insights (and the footnote) will give you a window on how genetics influences personality. We are all a product of both, but genetically inherited traits are not so mutable as people--in general, especially people who adopt infants--want to believe. It is one thing to provide a baby with basic needs; differences and problems because of those difference become more noticeable when the personalities become more distinct. If you really want to help someone, why not take a foster child or an older child who really does need a home? Adoption is a world-wide billion dollar business today and it thrives because people believe there are so many babies to adopt; when in fact, the infertiles looking to adopt keep the demand high and the industry going. You would also gain insight into the soul of adoptees by reading one or more of the several that are available. Three that will be enlightening are Anne Heffron's You Don't Look Adopted, Catana Tully's Split at the Root: A Memoir of Love and Lost Identity, the story of a black child adopted by German immigrants in Guatemala, and the essays collected by the Vance Twins in The "Unknown" Culture Club: Korean Adoptees, Then and Now . The author has lead a fascinating and unusual life. A black child being raised in a white German family was unheard of in the mid 20th century. 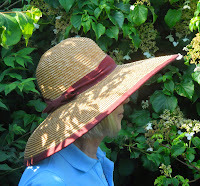 How it came to be and how it affected her much later in life are gradually revealed. This book is a must read for people who have or are planning to adopt a child of any race, but is especially relevant in transracial adoptions. an unabashed glimpse of what the adopted mind and heart feel so often. Dusky, a pioneer in adoption reform nationwide, writes with piercing clarity about the impact of secret adoption for all involved. Adoption is not a discreet event, and Dusky shines a light on its painful aftereffects on children, birth parents, adoptive parents, siblings and grandchildren. A must-read for anyone remotely interested in this shadowy chapter of American reproductive history. Great works of literary art from the Korean Adopted Community that form a collage of life experiences and perceptions, in the form of stories, micro biographies and poetry. Very well written and upholstered entries from all participants. This is a great compendium to which the reader can dip in and out of. Highly recommended. In Brazil walked right into that one. Perfectly stated. I am sure your plight is hard but that does not mean there is another woman's infant child waiting for you, or that you are entitled to another woman's child." I agree with what you said excepting I would rephrase the above excerpt. I don't believe infants belong to natural mothers or anyone other than the human race.. Being infertile does not give one the right to forge a new family with members who have no say, nor does it give one the right to cutoff or disrupt biological ties between others whether technically legal or not. Infant adoption as a solution to infertility is immoral, and unethical. I also don't think that adopting older children as a solution to infertility is moral or ethical. I do think it is possible that infertile people can have unexpressed love that can be channelled into caring for children in need, but I'm against adopting those children without their mature, informed consent. They should at least be 16 to give it. I've never understood why adopters have to OWN the children in question in order to love them as the price for their so called "love". If you truly want to help children and their true families including the rightful mother, there's better ways than adoption! With all due respect, adopting from foster care is not the answer. As a former foster and a mother that was robbed of her child by the pure fact that I was a foster child when she was born, I can tell you, definitively, that the adoptable children in foster care at a rate of approximately 98% not only do not want to be adopted, but are only eligible for adoption because of poverty... not abuse, neglect or abandonment. They too have mothers and fathers that are being used by the system to provide babies to infertile couples. Please consider not using me, my foster brothers and sisters, and our children as placebos. Thank you. Great response Lorraine. And I need to find time (someday) to catch up on adoptee readings myself. I have _You Don't Look Adopted_ sitting on my bed stand, but a stack of other things preceding it. And I was just asked to write a review for a lengthy anthology titled, _Babies For Sale? : Transnational Surrogacy, Human Rights and the Polotics of Reproduction_. When I first noted the possibility of reviewing that title, I also learned that there was another book by the same primary title,_Babies for Sale_ that was written in 1993. Since I was handed the review assignment, I've decided that's my queue to read up on Georgie Tan (another missing link in my reading) before reading the newer book. It will provide me with fodder for making connections between the two titles. Back to the Brazilian adoptive mother hopeful, I do hope that you have had an impact on her thinking.